Four Points by Sheraton | Argus Properties Ltd. The Four Points by Sheraton, Kelowna Airport building was finished in June 27, 2013. It stands as a quality building providing a landmark for the north gateway to Kelowna. 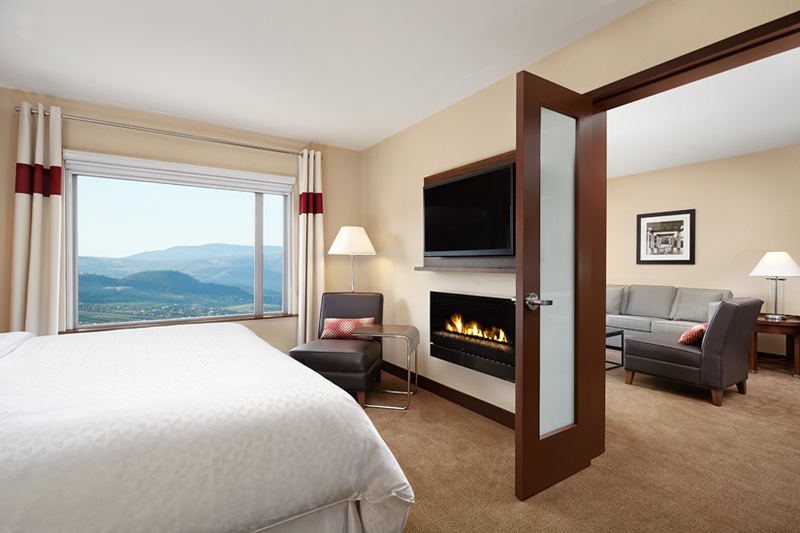 At a point adjacent to the Kelowna International Airport, this hotel provides business and family travelers easy access to the Okanagan Valley, being the central access from Osoyoos to Kamloops, and servicing 1.6 million travelers passing through the Kelowna Airport (YLW) each year. 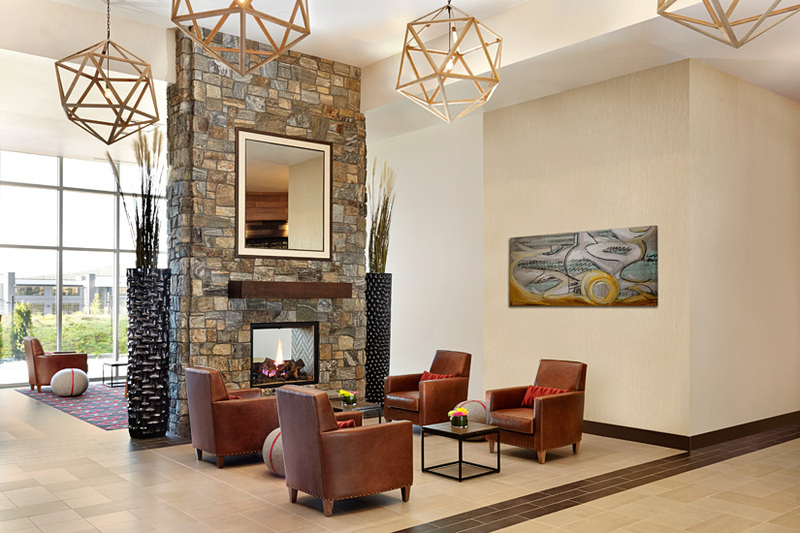 Rated by Starwood Hotels & Resorts Worldwide as the highest quality Four Points by Sheraton built in Canada, it boasts high quality materials used within the building, like stonework, granite, marble, and fine wood finishes. The natural stone used on the building’s exterior and lobby features is locally quarried and custom cut to the building standards. The lobby and public areas are finished with fine woods, wall coverings with designer tile, and carpet floors accented with polished stone counters and features. With tight zoning height restrictions, the selected combination of structural system facilitated the maximizing of height within the ground floor lobby, and meeting spaces without sacrificing spaciousness within the upper floor guest rooms. This six-storey hotel building brings to the Okanagan 120 quality, business guest rooms, and 4,500 square feet of first class meeting facilities providing sweeping views of the Okanagan valley basin, and the surrounding mountains. The ballroom can be divided into four meeting spaces, offering full audio and visual facilities in each room. Add a swimming pool with a waterslide, and a 24-hour fitness centre to the make-up, and you have a winning combo of amenities and services. There is a full service restaurant under the banner of Gulfstream on site, serving family and gourmet foods, and has a stock of over 2,800 bottles of international and local wines in a custom-made glass wine cooler wall. Our latest project; a stylish comfortable hotel with a touch of class and exceptional service.